Nearly five million people living illegally in the US can escape deportation under sweeping changes to the US immigration system. "Come out of the shadows and get right with the law," urged President Barack Obama in a televised address. Republicans say the action, without Congress, is beyond his authority and relations will now be poisoned. 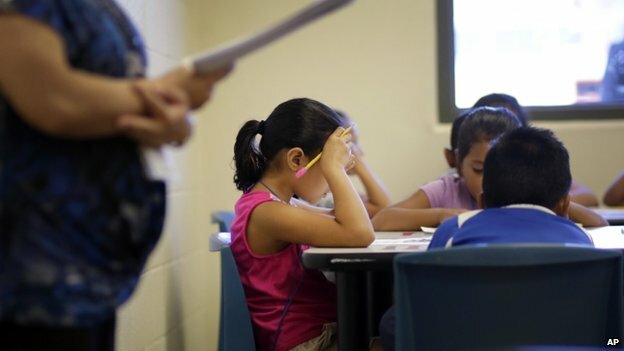 There are about 11m illegal immigrants in the US and this year children coming across the border prompted a crisis. Most of those affected by Mr Obama's action are the parents of children who are US citizens or legal residents. The president told the nation that what he is proposing is not amnesty. "What I'm describing is accountability - a commonsense, middle ground approach," he said. Although the plan will allow millions to work, it won't offer a path to citizenship or entitle them to the same benefits as Americans, he said. "If you're a criminal, you'll be deported. If you plan to enter the US illegally, your chances of getting caught and sent back just went up." He pledged to crack down on illegal immigration at the border and require certain undocumented migrants to pass a criminal background check and pay taxes in order to register to stay temporarily in the US. Mr Obama said deportations would now focus on "felons not families, criminals not children, gang members, not a mother trying to provide for her kids". - Overall, the action could lift the threat of deportation for up to five million undocumented migrants. The plan reflects "the guidance [Mr Obama] has received from the Secretary of Homeland Security and the Attorney General about everything he could do under the existing law", a senior administration official said on Thursday. "It's entirely consistent with the way previous presidents have exercised their executive authority." Mr Obama has pledged for months to take steps on immigration after the Republican-led House of Representatives blocked a bipartisan immigration bill passed by the US Senate in 2013. But Republican House Speaker John Boehner has said Mr Obama is "playing with fire" if he moves ahead with his immigration plan. On Thursday, Republican Senate Minority Leader Mitch McConnell - soon to head the Congressional chamber after conservatives gained control in the 4 November mid-term elections - vowed to retaliate. "If President Obama acts in defiance of the people and imposes his will on the country, Congress will act," he said in a speech on the Senate floor, declining to offer further details. Mr Obama's plan does not go as far as a Senate bill that would have provided a path to citizenship for millions of undocumented immigrants but it was never passed by the Republican-controlled House of Representatives. 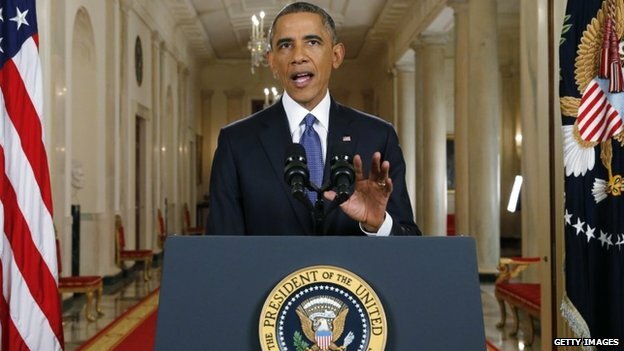 The US president has said he would sign a compromise bill on immigration from Congress if it passed. On Thursday, Mr Obama said those who questioned his authority "to make our immigration system work better, or question the wisdom of me acting where Congress has failed, I have one answer - Pass a bill".